For thousands of years, humans have enjoyed the delicious taste and wonderful health benefits that come from eating ginger on a regular basis. Consuming fruits and vegetables of all kinds has long been associated with a reduced risk of many health conditions, and certain herbs and spices offer powerful additional health benefits. Ginger is one of these superfoods. Studies have shown that ginger contains hundreds of compounds and metabolites, many of which contribute to health and healing. The phenolic compounds in ginger are known to help relieve gastrointestinal (GI) irritation, stimulate saliva and bile production, and suppress gastric contractions as food and fluids move through the intestinal tract. 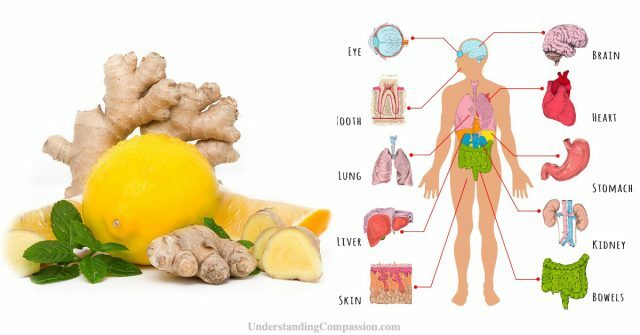 Ginger also seems to have beneficial effects on the enzymes trypsin and pancreatic lipase, and increases motility through the digestive tract. These two benefits mean that ginger can help prevent colon cancer and constipation. It is noted that people with acid reflux disease should use ginger in moderation. Drinking ginger tea is a common home remedy using to relieve nausea during cancer treatment. Ginger has also been reported to reduce feelings of nausea for those who get motion sickness. Ginger is also safe to use during pregnancy, and is wonderfully appreciated when relieving nausea. Many people enjoy getting their regular ginger from ginger lozenges and ginger candies. Ginger has been used for hundreds of years to reduce inflammation and to treat inflammatory conditions such as arthritis. Studies have also found that ginger is “modestly efficacious and reasonably safe” for treating the inflammation associated with osteoarthritis. A study published in Cancer Prevention Research journal reported that ginger supplements, which are easily available to buy online, reduced the risk of colorectal cancer developing in the bowels of 20 participants. Studies have also shown that ginger can play a valid role in reducing pancreatic cancer. During the winter months, drinking ginger tea is good way to stay warm. It is diaphoretic, which means that it promotes sweating and works to warm the body from within. To make a cup of delicious ginger tea at home, dice up 20 to 40 grams of fresh ginger and then steep it in a cup of hot water. To add some further flavor, drop in a slice of lemon and mix in some honey. This also adds the benefits of vitamin C and antibacterial properties to the ginger tea. This makes a soothing and relieving natural remedy for a cold or the flu. A study involving 74 participants conducted at the University of Georgia found that daily ginger supplementation reduced exercise-induced muscle pain by 25 percent. Ginger has also been found to reduce the symptoms of dysmenorrhea, which is the severe pain that some women experience during a menstrual cycle. The University of Maryland Medical Center cites several preliminary studies that suggest ginger may lower cholesterol and prevent blood from clotting. Stopping blood from clotting can help people with heart disease, where blood vessels become clogged and possibly lead to heart attack or stroke. High cholesterol can also lead to clogged arteries when the cholesterol builds up on the artery walls. Ginger may also help to lower blood pressure, another indicator of heart disease. Consuming ginger can help promote healthy blood circulation as it thins the blood. The notable warmth felt throughout the body when consuming ginger also feels great. Studies report that ginger may slow down the loss of brain cells, fighting against age-related decline in the brain. Women who consumed ginger also showed enhanced working memory. The components found in ginger are being used in certain medicines to treat Alzheimers. Instead of using chemicals or medical drugs to clear your sinuses, try using ginger. Ginger has an active ingredient that is very helpful in treating sinuses issues. Make yourself a hot cup of ginger tea and get the benefit of sinus relief without a groggy head that tends to come with most sinus medications. Ginger is a wonderful health supplement, and if you haven’t already integrated it into your healthy diet, now is a great time to start! Have a beautifully healthy day.